Each evening’s performance includes a brief public adjudication. The Ozzie Award for outstanding contribution to the Zone went to Sharon and Eugene Leveque. The Okanagan Zone Stephen Heal Memorial Scholarship was not presented this year. 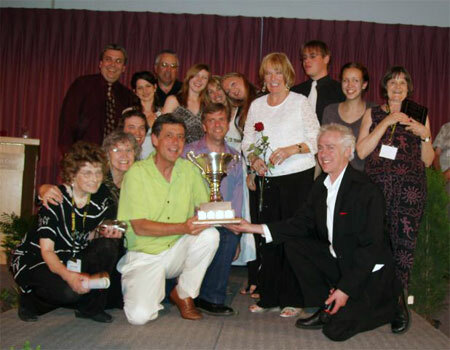 A slide show of the recent Okanagan Zone Festival was presented at our Awards Night Banquet on May 19. The slideshow is available here available for download. It is a Windows Media file, playable with Windows Media Player on a PC, and QuickTIme on a Mac. The file is 68 MB and make take 2 – 10 minutes to download, depending on your connection.